The more I think about this novel the more conflicted I become. My full review is on Goodreads. YA readers have been raving about Daughter of Shadow and Bone and its sequels, so I wanted to see what the fuss was about. And I’m conflicted. Still. Here’s the problem: I don’t really like romance. I do like adventure stories! I like friends and conflict and angst and love as much as anyone, but I don’t like romance as a genre. This is an extremely fine line, and probably not one I can accurately describe, but I like action where people fall in love on the way. I do not like stories where the story is people in love. 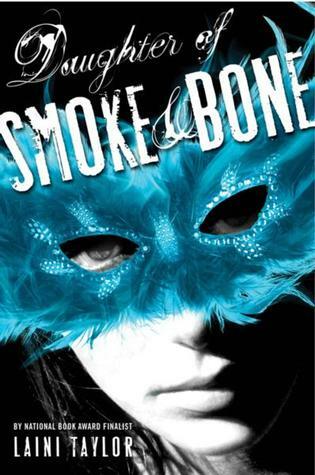 So, I was not fated to adore Daughter of Smoke and Bone, which is a fantasy/romance. Roughly one third of the novel is backstory, and it’s all cuddly-wuddly I’ll give up the world for you, I’ll do anything for you, you are the perfect one for meeeeeeee romance. Of the two-thirds that are left, roughly half of that is a slightly different flavor of the same romance. The rest is really good, really beautiful fantasy. And so I’m conflicted. When I first read the novel I was so struck by the beauty of the writing that I was willing to forgive it anything. But I was undecided on the romance after I read it, and time has only made it worse. Do I want to read more? It’s certainly pretty. There was an amazing cliffhanger. But if I’m on the fence about the romance, I’m probably not going to change my mind later. But ohhhh goodness the author writes beautifully.